The Nintendo 3DS will have a 3D camera, two differently-designed screens, a tilt sensor and will be significantly more powerful than current handhelds, according to sources familiar with the system's development kit. Updated with more details. Update: Since confirming the details of the upcoming Nintendo 3DS, Kotaku has heard from a number of other sources about another exciting feature for the portable. It turns out that the white nub in the circuit board photo is an analog stick, one we're told is a real (short) stick, not a PSP-like nub. (This ties in with an earlier report that the 3DS would have some sort of "3D joystick.") The 3DS will have this stick and a d-pad. 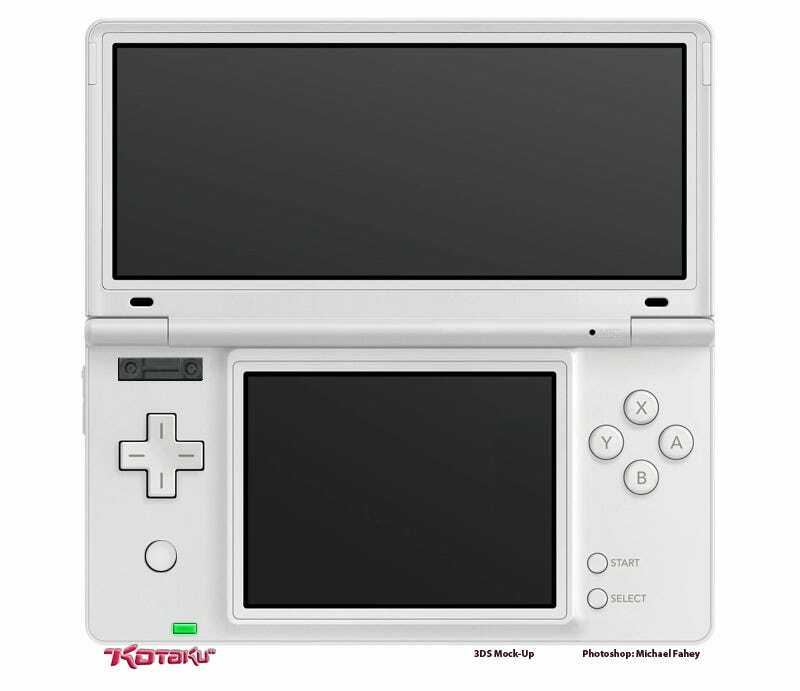 We've also learned that the rumored 3D slider, a feature described on an IGN podcast as means to "toggle the strength of the 3D effect" is included in development versions of the 3DS hardware, though we don't know if this slider will be made available to gamers. End update. Nintendo vs. Japanese Newspaper, It Continues! Buzz on the system has been unusually strong of late. Earlier this week, EA boss John Riccitiello was quoted in the gaming press saying that he had seen the 3DS and that "it's cool." While that type of praise might be easily dismissed as pre-E3 hype, Riccitiello's comments about the 3DS has been echoed by multiple enthusiastic gaming industry sources in touch with Kotaku. They won't reveal what the machine can do, but they attest that Nintendo has something special in the works. That's a different kind of buzz than the one that preceded the DS six years ago, a machine that was preceded by skepticism by many game creators, confusion about the device's features and a poor impression of the system's power when compared to its looming rival, the PlayStation Portable. Six years later, it appears that Nintendo's next handheld hardware is closer to the cutting edge, more impressive than odd. Please note: The image atop this post is a mock-up based on our best assessment of which features will be in the Nintendo's 3DS. That mock-up has been updated based on new information received following the publication of the post.